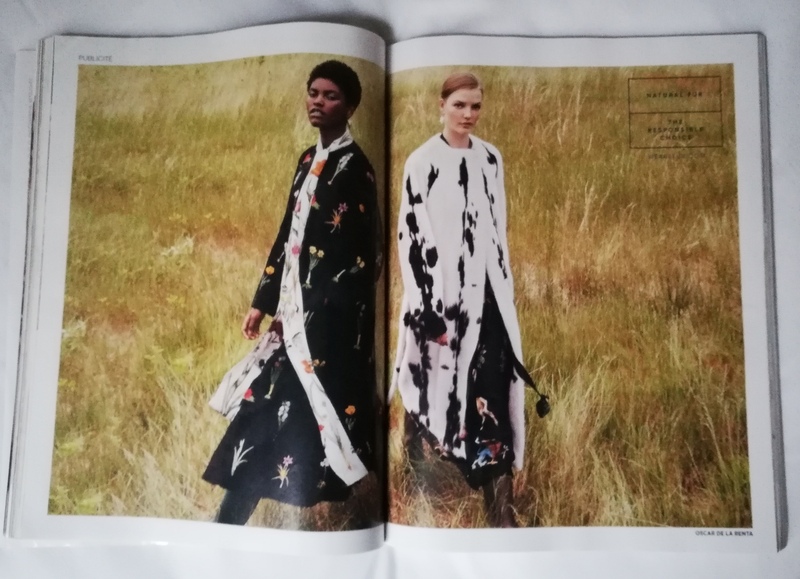 An advertising commissioned by the International Fur Federation and published in VOGUE last September was declared misleading and inaccurate by the Advertising Standards Authority of France. 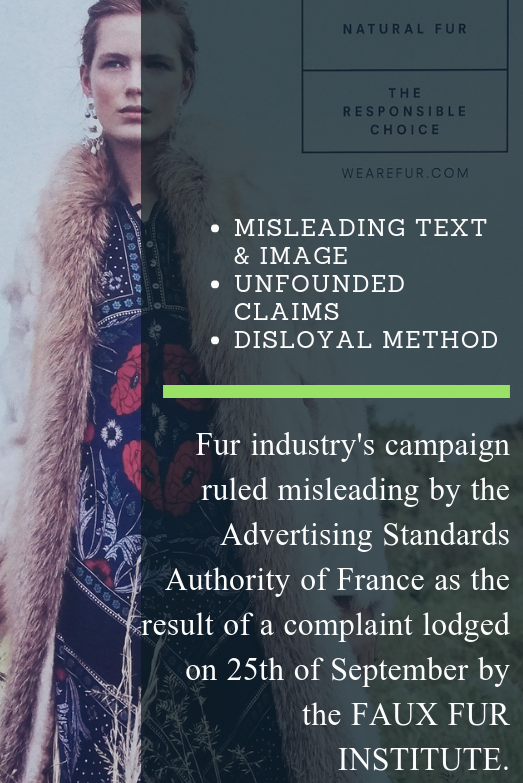 Faux Fur Institute has lodged a complaint to the Advertising Standards Authority of France regarding the misleading and unfair nature of an advertising from the International Fur Federation published in VOGUE Paris last september (n° 990). We are pleased to announce that our complaint received a favorable verdict on all points raised. The text and the image of the advertising were declared misleading using baseless claims and disloyal method. The ad named "natural wonder" claimed in its title : Sustainable and beautiful, ethical and exquisite, the magic of fur is irresistible. With documented facts and a solid argumentation, we have succeeded in convincing the jury that the litigious ad was strongly misleading for the readers and the eco-minded consumers. The verdict rendered two weeks after our hearing leaves no doubt in regard to the deceptive nature of both the text and the image of the advertising. - Regarding the biodegradability aspect of fur promoted by the federation, the elements used to support this claim based on a review of a scientific report provided by the federation are not supported by consistent data, thus making the claim inconsistent. - The jury highlighted that real furs are also dyed with chemicals and that the federation representative was not able to deny this fact during the hearing. - The image showcasing a woman in fur, wandering in a wheat-filled prairie was also said to be of a misleading nature. We therefore wholeheartedly applaud the verdict from the jury which sends the right signal that ecology should never be used for commercial purposes. In the field of fur, faux remains the only responsible option available on the market. Its impact on the environment is less than that of animal fur. Faux fur is a luxury synthetic with a life-saving power which makes it a favourite choice for a growing number of luxury brands. Faux Fur Institute was founded in 2017 by Arnaud Brunois, communication manager for ECOPEL. The purpose of this information platform is to give a voice to the booming sector of faux fur and to promote responsible fashion. The platform is supported by several faux fur brands.